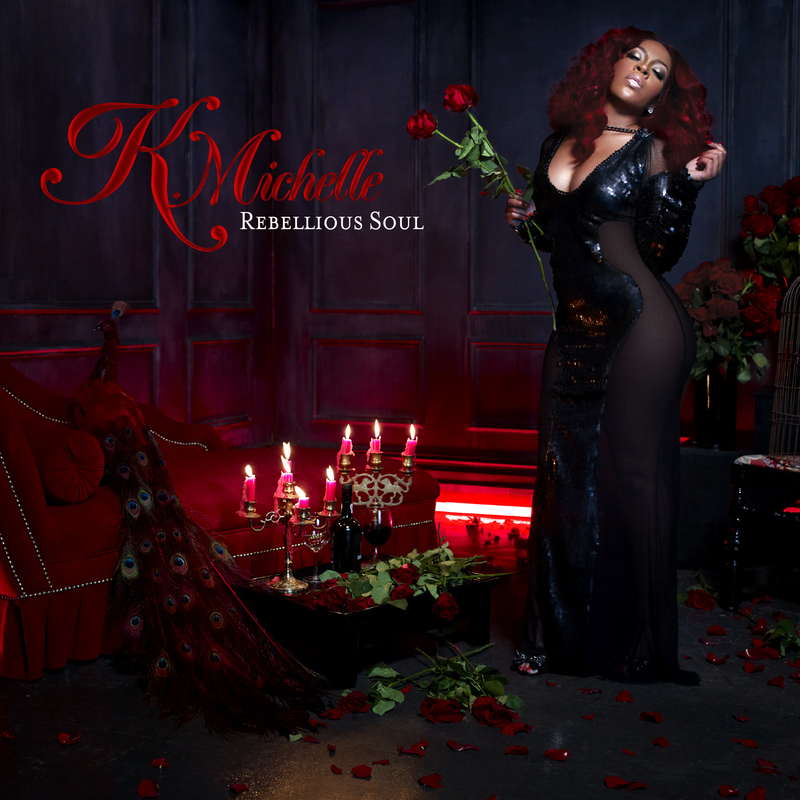 Atlantic Records R&B songstress K. Michelle released her highly anticipated debut, Rebellious Soul yesterday Tuesday (August 13). The Memphis, Tennessee breed is currently living in NYC and she took Manhattan by storm in the last two days. The “V.S.O.P.” singer held a mini concert on B.E.T. 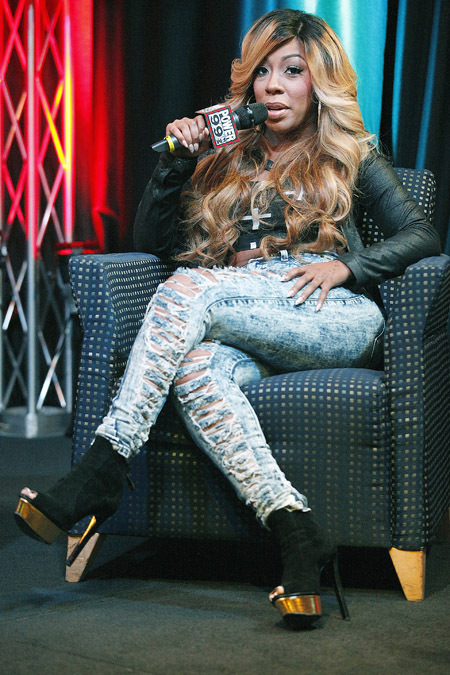 ‘106 & Park‘, appeared on NY radio stations Hot 97 and Power 105, hosted a meet & greet in the Bronx and last night, she held her album released party at the posh Beauty & Essex and G Lounge in Chelsea. 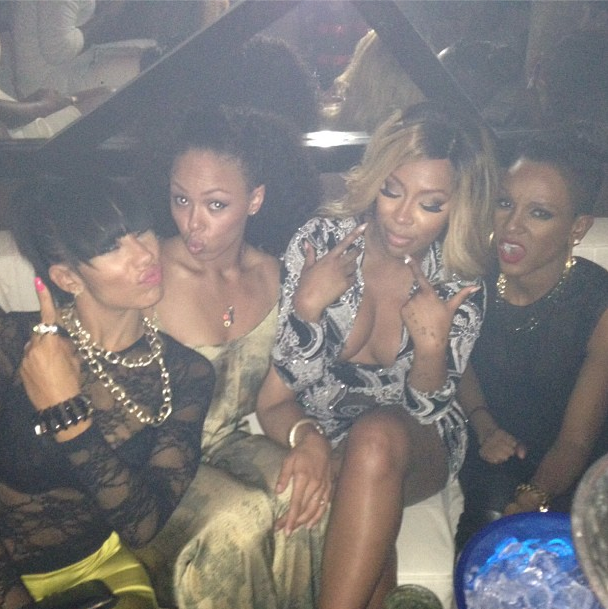 Singers Ne-Yo, Bridget Kelly, Elle Varner & Tiara Thomas were in attendance. It’s so good to see so many talented R&B singers in one room. Radio host Angela Yee, music executive Irv Gotti and Mike Kyser (President of Black Music for Atlantic Records) were also present. I am so proud of K. Michelle. A lot of people didn’t believe in her but I did. When other bloggers stopped blogging about her, I continued to blog about and support her. She really capitalized off Love & Hip Hop: Atlanta. 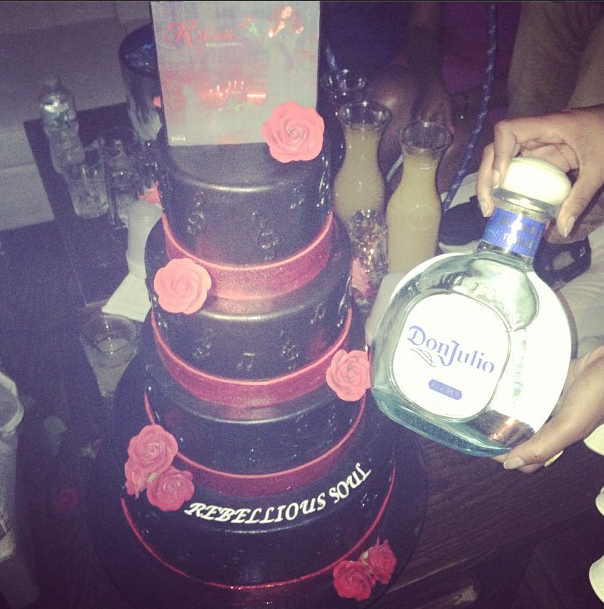 Rebellious Soul is currently the #1 R&B album and #3 album on the Billboard 200 in the country. Buy Rebellious Soul now on iTunes. 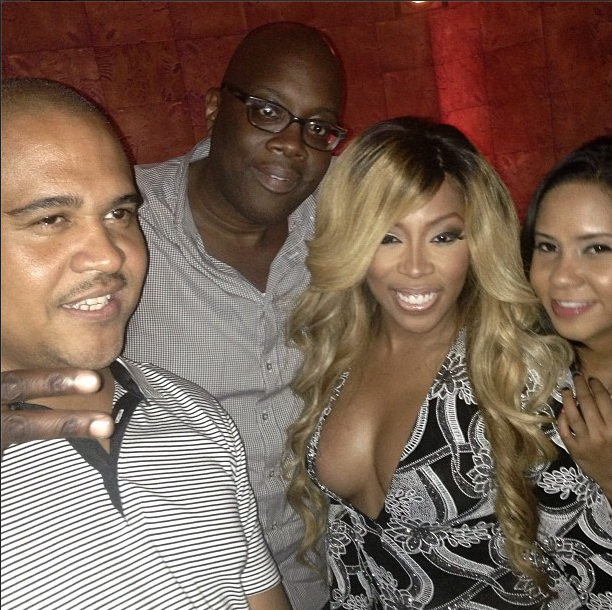 R&B songstress K. Michelle rocked her ‘around the way girl look’ in her latest Instagram flick. 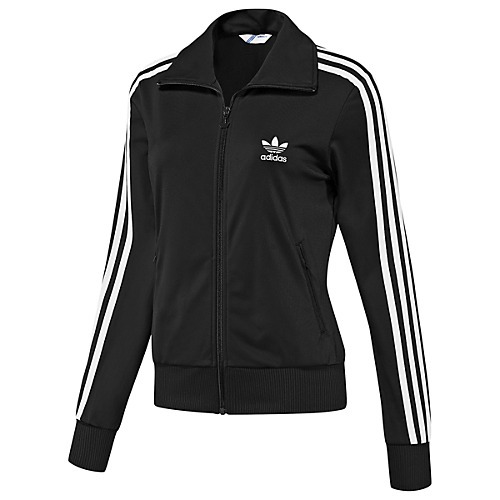 She wore a $68 Women’s Adidas Originals Firebird Track Hoodie and the matching $58 Women’s Adidas Originals Firebird Track Shorts. 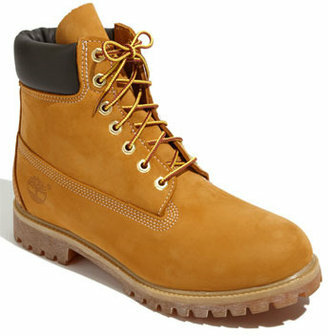 The ‘Rebellious Soul‘ singer completed her outfit with a pair of $180 Timberland boots which are available at Nordstrom. 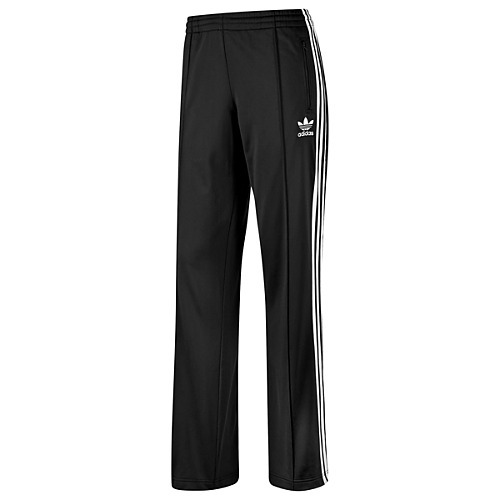 I was not able to find the exact hoodie and shorts that K. Michelle had on in the above pic, but below are a similar hoodie and pants. 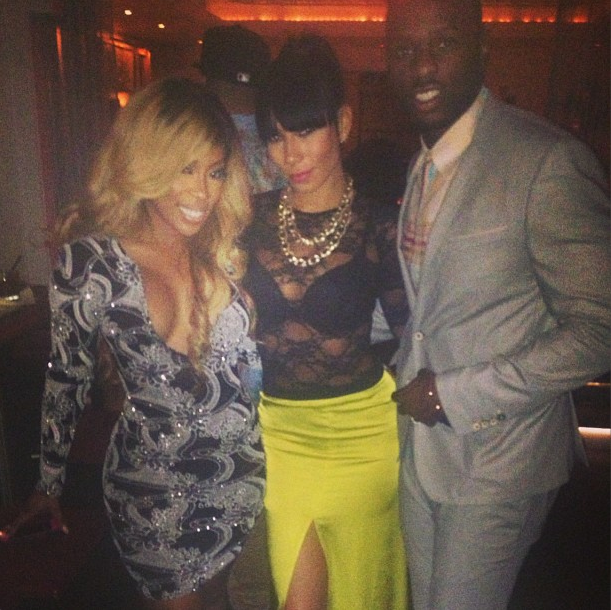 Are you feeling K. Michelle’s around the way girl look? 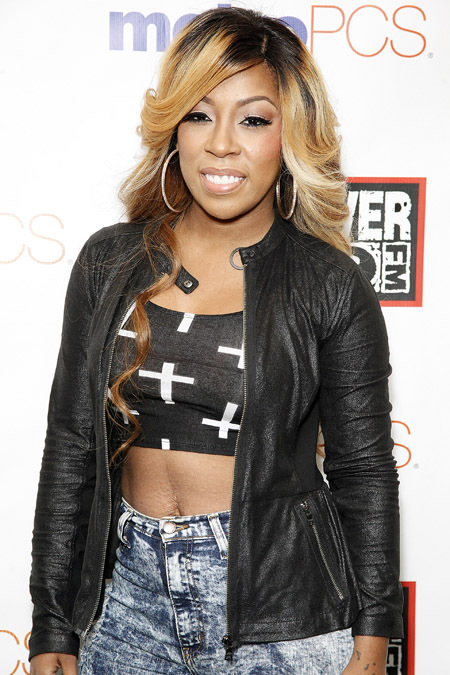 K. Michelle will release her debut, Rebellious Soul via Atlantic Records tomorrow (August 13). The 11-tracks R&B/soulful LP features the Pop & Oak-produced lead single “V.S.O.P. and “I Don’t Like Me” which is in heavy rotation on urban radio. I like how K. Michelle used Love & Hip Hop: Atlanta as a platform to rebuild her music career and brand. She is very talented and can sing. I am rooting for her! Pre-order the LP on iTunes. 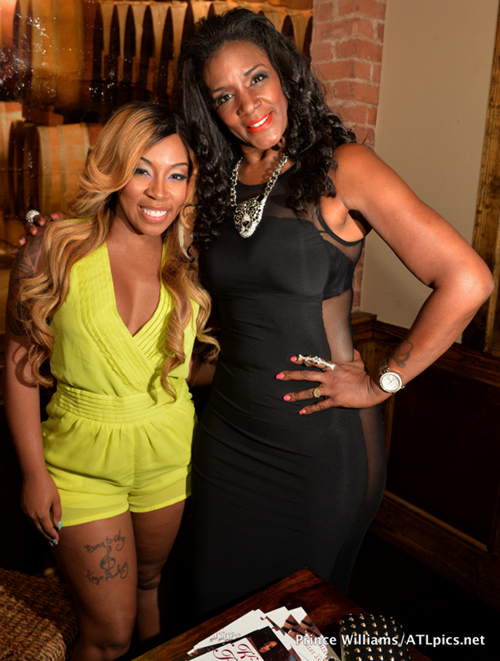 Over in Atlanta at Frank Ski’s restaurant, R&B songstress K. Michelle celebrated her album release party. The “V.S.O.P.” singer looked cute in a neon jumpsuit paired with $995 Giuseppe Zanotti Mirrored Peep-Toe Cage Booties for the occasion. 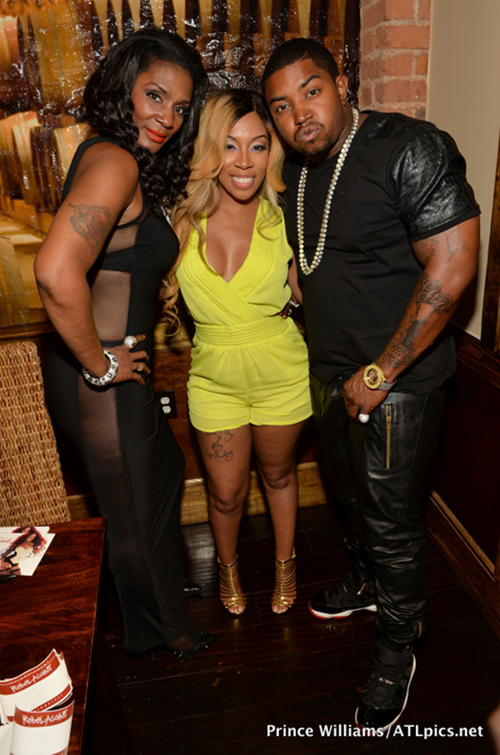 Rapper Lil Scrappy and reality star Mama Dee of Love & Hip Hop: Atlanta was also present. These cage booties feature thin straps, back zipper and decorative buckle on the topline, peep-toe, metallic leather insole and leather lining. You can purchase these shoes at Bergdorf Goodman. 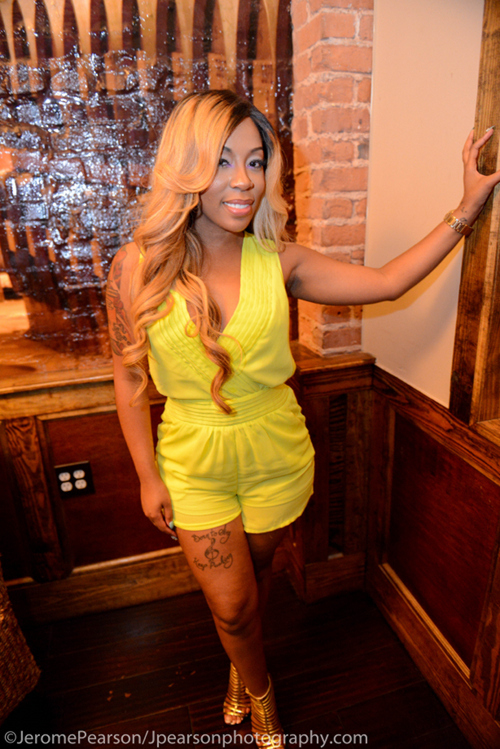 K. Michelle will release her debut, Rebellious Soul via Atlantic Records on August 13th. The 11-tracks R&B/soulful LP features the Pop & Oak-produced lead single “V.S.O.P. and “I Don’t Like Me” which is in heavy rotation on urban radio. I like how K. Michelle used Love & Hip Hop: Atlanta as a platform to rebuild her music career and brand. She is very talented and can sing. I am rooting for her! Pre-order the LP on iTunes. 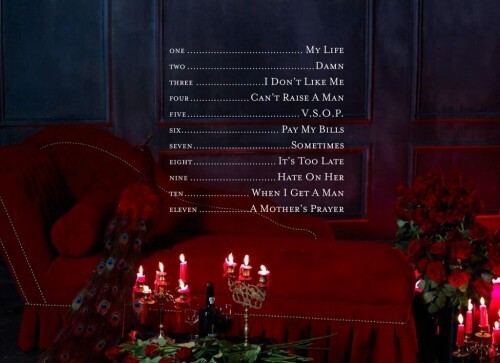 This past Monday (July 15), K. Michelle released the official cover art and tracklist to her upcoming debut, Rebellious Soul which arrives August 13th via Atlantic Records. The 11-tracks soulful LP features the Pop & Oak-produced lead single “V.S.O.P”. Today, she dropped the official visual to the album’s second single, “I Don’t Like Me“. Tagged as "I Don't Like Me", 'Rebellious Soul', K. Michelle, New Visual: K. Michelle "I Don’t Like Me"
Southern songstress K. Michelle will release her debut, Rebellious Soul via Atlantic Records on August 13th. The 11-tracks soulful LP features the Pop & Oak-produced lead single “V.S.O.P” which is in heavy rotation on urban radio. 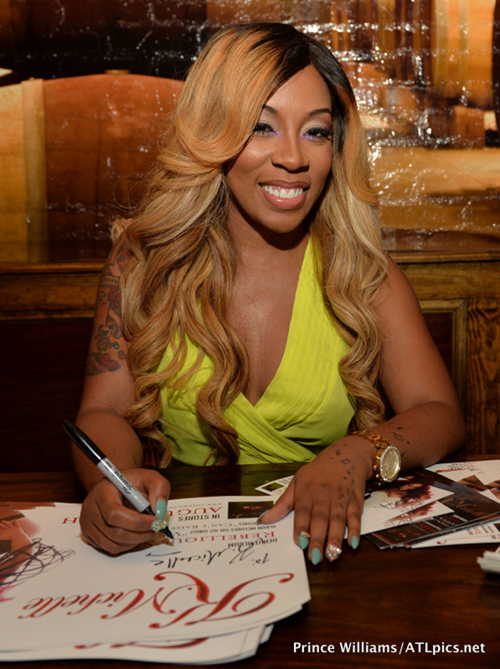 On the cover art, K. Michelle poses in front of a red sofa with lit candles in a floor length black dress. 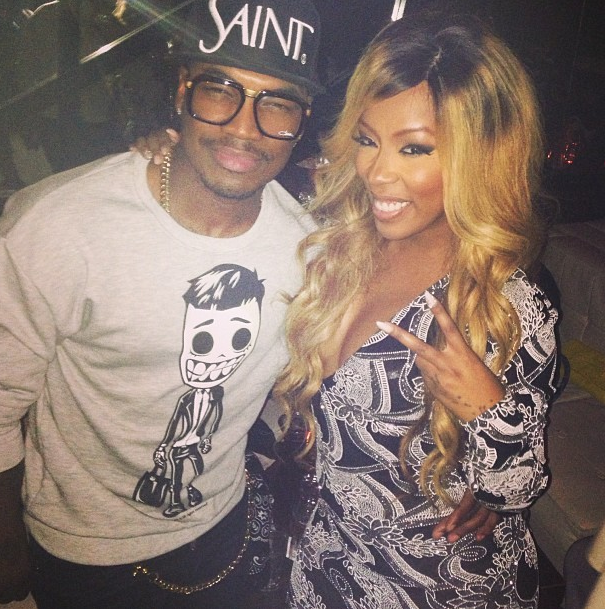 I like how K. Michelle used Love & Hip Hop: Atlanta as a platform to rebuild her music career and brand. She is very talented and can sing. I am rooting for her! Three-weeks ago, she released the official visual to her single “V.S.O.P.” Pre-order the LP on iTunes.